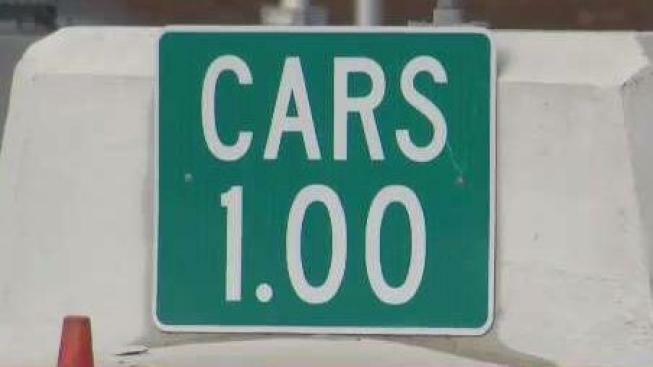 In the next couple of weeks, toll prices in the Granite State could raise anywhere between 18 to 35 cents in order to help fund improvements on the New Hampshire Turnpike. "I'm going through the toll booths all the time," Steve Beauliu said. His work requires him to spend a huge amount of time on the highways and rack up major toll costs. "It’s better than ruining tires and potholes and having roads that aren’t maintained well in the winter," one driver told us. At the New Hampshire welcome center, folks that NBC Boston spoke to really didn’t mind an increase. "I was thinking that New Hampshire does a good job of keeping up its roads and its infrastructure," Tony Dionis said. The state estimates that increased revenue could be more than $30 million annually. People driving without EZ Passes could expect to pay 50 cents more for using cash. "That hurts but if it helps pay for infrastructure that is desperately needed and keeps the highways in shape, I guess it’s a price we have to pay," Beauliu said. It’s up to the New Hampshire Executive Council to approve the increase. That could happen on Dec. 6.